Serious shoulder injuries can cause you major difficulties. They often prevent you from doing your job so you lose money because you are not working. Also, you need good medical treatment to recover from the injury and get back to work. When a shoulder injury happens on the job, workers compensation should generally cover it. Under the law in Georgia, workers compensation coverage provides you with three basic types of benefits that help you deal with the problems caused by a serious shoulder injury. While all three of these benefits are important, the medical benefits may be the most important because these benefits allow you to get the treatment you need to recover from your shoulder injury. 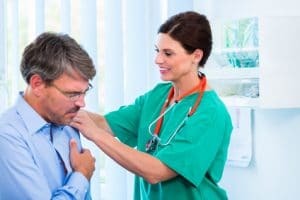 In this article, I will discuss Georgia’s workers compensation rules about getting medical treatment. Can I pick my own doctor to treat my shoulder injury? Each state has different workers compensation laws. In Georgia, you have a right to pick your doctor but your choices are limited in most cases. Your employer should have posted either a traditional panel of physicians or a WC/MCO. Both of these documents provide information about a list of workers compensation doctors. With a traditional panel of physicians, your employer should have at least 6 doctors listed on the panel. You can choose one of those six doctors to become your main treating doctor. This doctor is known as your authorized treating physician (ATP). If your employer uses a WC/MCO, then you will probably have to contact the number listed on the WC/MCO document to obtain the names of the doctors in the WC/MCO. But, you do still get to choose your authorized treating physician from the doctors in the WC/MCO. What kind of doctor do I need to pick for a shoulder injury? This could depend on what type of shoulder injury you have. In most cases, you will need to treat with an orthopedic specialist. Orthopedic specialists treat many common shoulder injuries including sprains, strains, fractures, rotator cuff tears, and biceps tendon tears. Orthopedic specialists also subspecialize. This means that many orthopedic doctors limit the treatment they provide to one or more areas of the body. Some orthopedic doctors will focus on back and neck injuries. Others will treat wrist and elbow injuries or foot and ankle injuries. 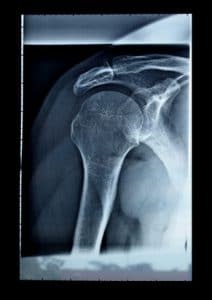 To make sure you get the best treatment for your shoulder injury, you should consider seeing a doctor who specializes in treatment of the shoulder. How do I get the workers compensation doctor’s treatment approved? Even when they start receiving Georgia workers compensation benefits, many people have difficulty getting the medical treatment they need. This problem often arises when insurance companies delay or deny authorization for treatment. While Georgia law does not require the doctor to receive authorization from the insurance company to provide treatment, almost all doctors want this authorization so they can feel more confident that their bills will be paid. Unfortunately, some insurance companies take advantage of this and do not provide authorization for the treatment. Your medical treatment gets delayed if the insurance company does not give authorization. 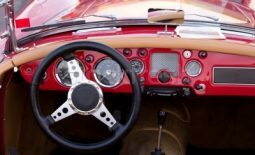 You do have some options for getting the insurance company to authorize treatment. The best option to take will depend on the particular facts of your case. 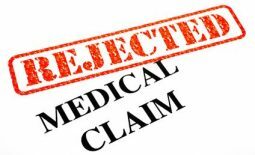 To find out more about those options, please read my article on how to beat insurance company denials of medical treatment. Can I change to a different shoulder doctor? Sometimes, it is the doctor and not the insurance company that delays your recovery. If you have concerns about whether your doctor is providing you with the medical treatment you need, you do have options to get second opinions or to completely change your treating doctor. Each of these options has advantages and disadvantages. A couple of them are “one time” options for you. I would recommend that you set up a consultation with a workers compensation attorney before moving forward with one of these options because I have seen many times where people hurt their case by selecting the wrong option. Is there a limit on how long workers compensation has to pay for medical treatment? Unfortunately, Georgia’s law does place limits on how long the workers compensation insurance company has to pay for medical treatment. The limit in most cases is 400 weeks after the date of your injury. Even if the 400 week limit on medical treatment applies to your case, you may not worry much about it early on. Usually, you can get all or most of the medical treatment you will need for a shoulder injury in six month to a year. But, serious shoulder injuries may require long term treatment. Some people need shoulder replacement surgery years down the road. Other people need ongoing pain management treatment. Hopefully, Georgia will changes its laws in the future and require insurance companies to pay for medical treatment for as long as you need it for your injury. But, until that happens, you need to consider the best options for how to get good medical treatment quickly because you are working with a deadline. What if I have other questions about my shoulder injury? Hopefully, this article has been helpful. But, it may not answer all of your questions since the specific facts of your case matter a lot. A consultation with a workers compensation attorney is the best way to get answers that specifically apply to your case. If you have suffered an injury at work and are dealing with workers compensation, I would recommend strongly that you geta consultation. Many people worry about how much an attorney consultation will costs. I provide free consultations in workers compensation claims so that you can get answers without having to worry about how much it will cost you. Please read this article to find out more about how a free consultation with me works. If you would like to set up a free consultation, there are two easy ways to do it. Just call our office at (770) 214-8885 or complete and submit our free consultation request form.